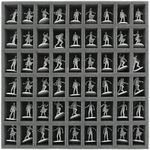 Foam tray for Zombicide Zombies and Survivors. 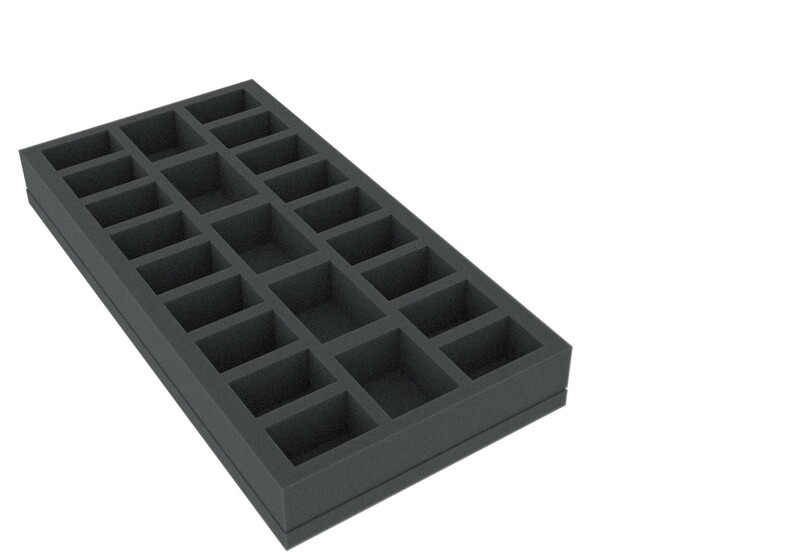 The 23 different sized compartments are good for walkers, runners fatties, necromancer, wolfz and survivors. 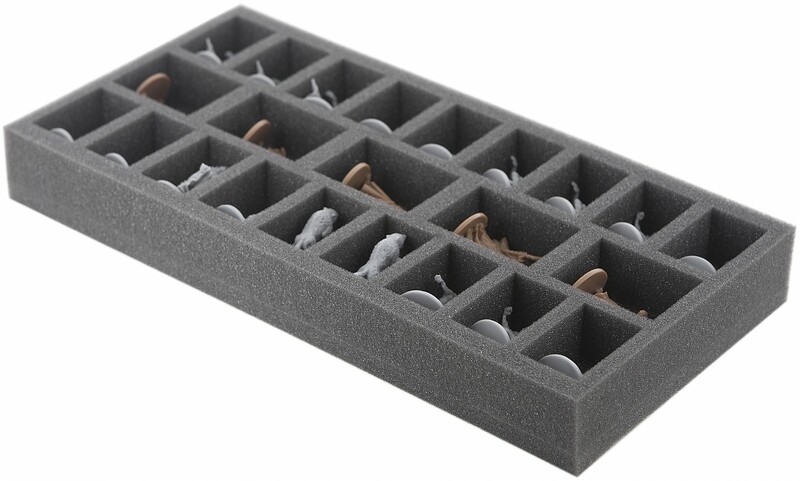 The foam tray occupies half the ground space of the board game box. In addition, we recommend AU085ZC20 and AU050ZC21.